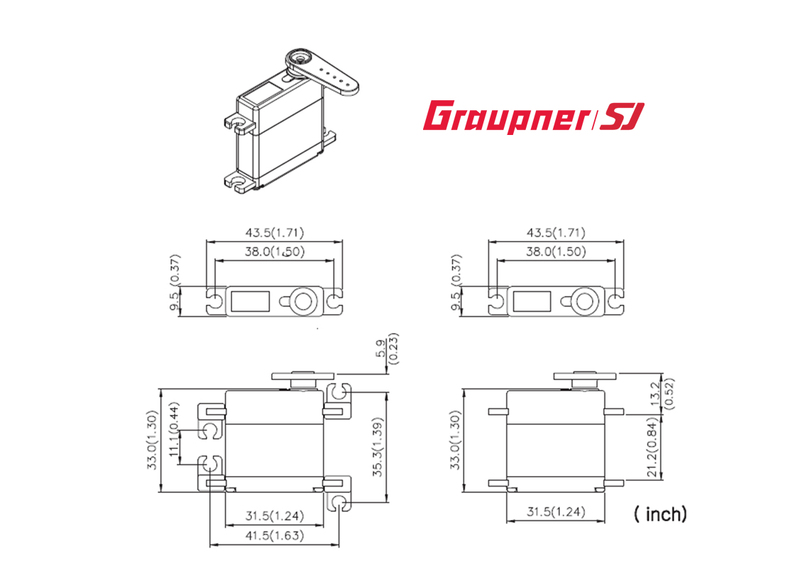 Featuring metal gears and programmable circuitry, the high-performance Graupner DES 448 BBMG Digital Standard Servo will allow you to fine tune your unique specifications. Equipped with a heat sink case, the DES 448 BBMG ensures lower operating temperatures with enhanced reliability. The internal SMT and mechanical circuitry contributes to fast and crisp response times with low dead-band and excellent centering, making it the perfect choice for sailplanes, scale airplanes and pylon racers. Best thing wing servo I have ever used. Used in large scale gliders.